Home / QuiBidder of the Week – Nancy M.
QuiBidder of the Week – Nancy M.
Congrats to the newest QuiBidder of the Week, Nancy M.! Nancy uses the products she wins on QuiBids to help furnish her daughter’s college apartment. 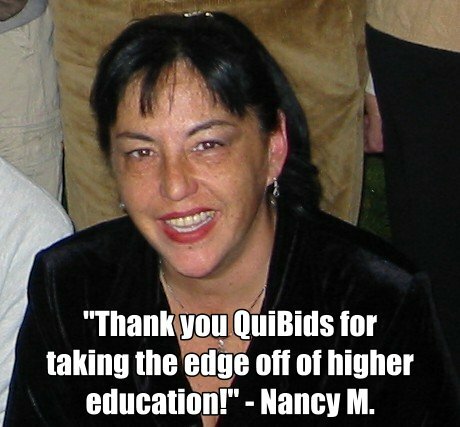 Be sure to check out Nancy’s full QuiBids story below. QuiBidder of the Week – Sally B.
QuiBidder of the Week – Debbie M.